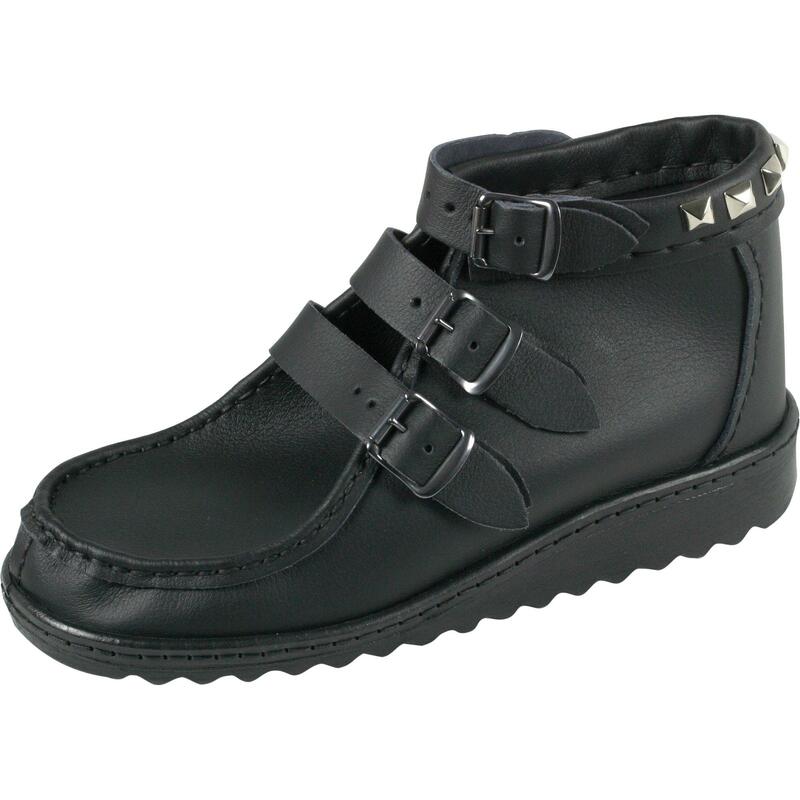 On trend styling with studded collar and buckled strap fastening for this really comfy boot. Underfoot padding and flexible sole. Black only.